Widely regarded as the definitive work on the design and fitting of gun stocks, the first edition covered the subject practically and theoretically, in terms of shooting vision and eye dominance, stocks for game and clay shooting, and pattern plates and the try-gun. Historical material explores how the modern gun stock evolved from the poles and planks of the first handheld firearms to the highly sophisticated designs of the modern era. 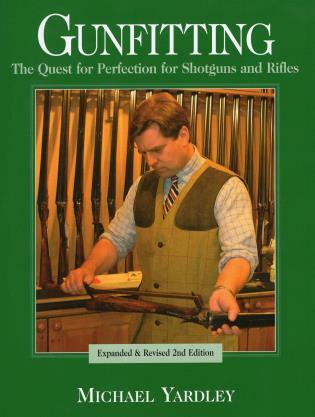 The second edition includes fitting rifles, recoil, and making and finishing a gun stock. Michael Yardley is one of the best known shooting instructors and shooting writers in England. He has been an active game shot for more than thirty years and has written and broadcast extensively on all aspects of firearms. He has hunted birds and larger game on four continents and has held height averages in various clay shooting disciplines.